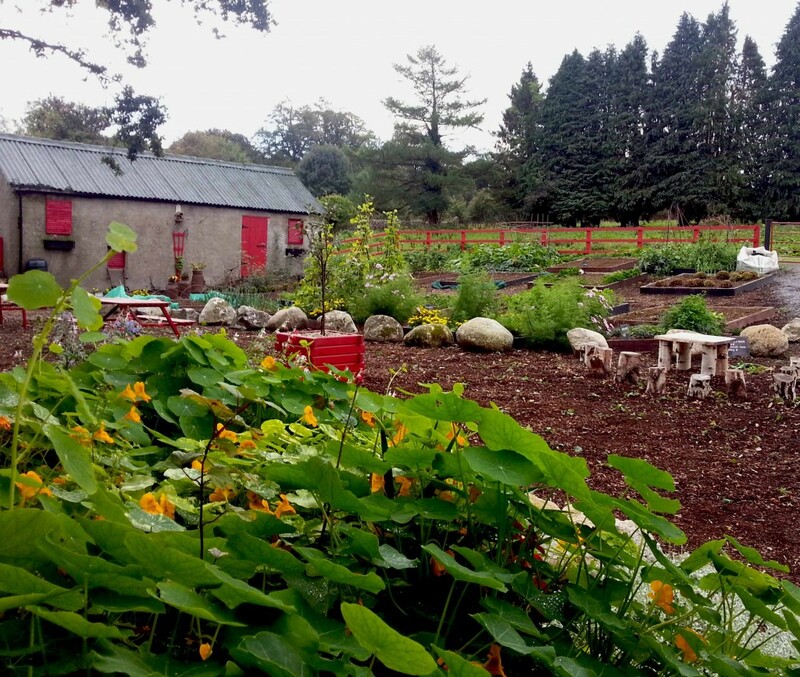 When I was leaving home this morning to head over to Clonegal, a rural Carlow village close to the Wexford border to tutor the first of six grow your own sessions in their community garden, it was with some excitement. I caught a tweet last week that flashed a congratulatory message to Clonegal, home of the fascinating and historic Huntingdon Castle, alerting us that the village had just won a European Gold Medal for the Entente Florale Europe competition. 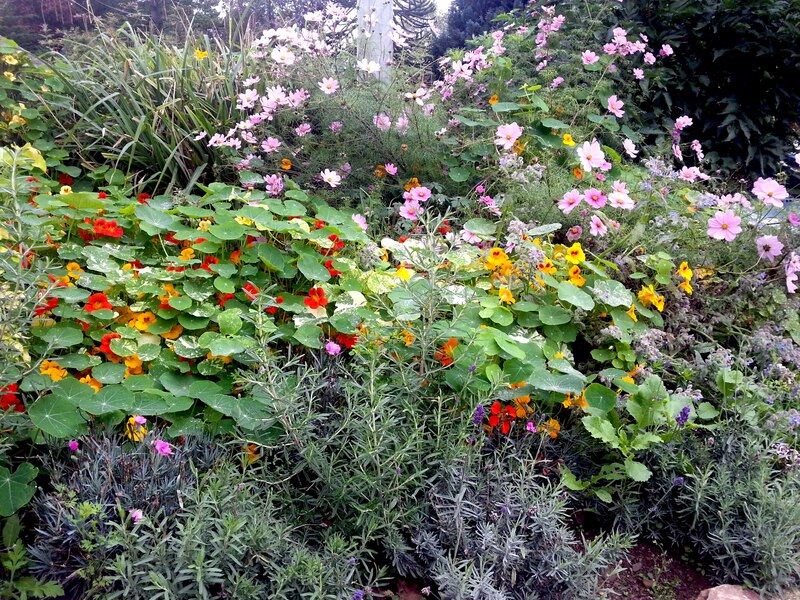 The link explains the judging requirements in more detail but in essence, the competition is about improving the quality of life in rural and urban settings by developing an environmental awareness and greening the area with flowers and shrubs. Clonegal were chosen to represent Ireland in this prestigious competition and what an excellent decision that turned out to be. I wasn’t disappointed when I parked and walked up to the gate. 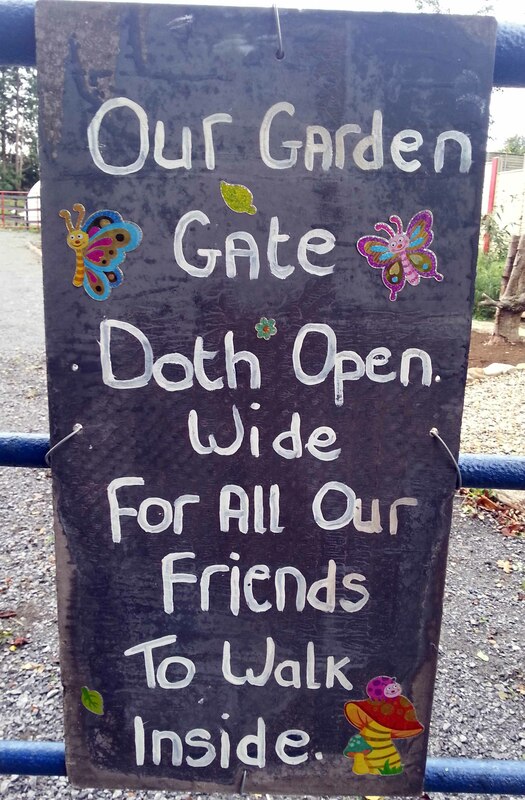 Clonegal village is enchanting and its new Community Garden a pretty addition to the village and a credit to everyone who worked to create it. Earlier in the year the garden, located in the centre of the village, was a weedy eyesore. Just look what can be done with a few volunteers and some vision. 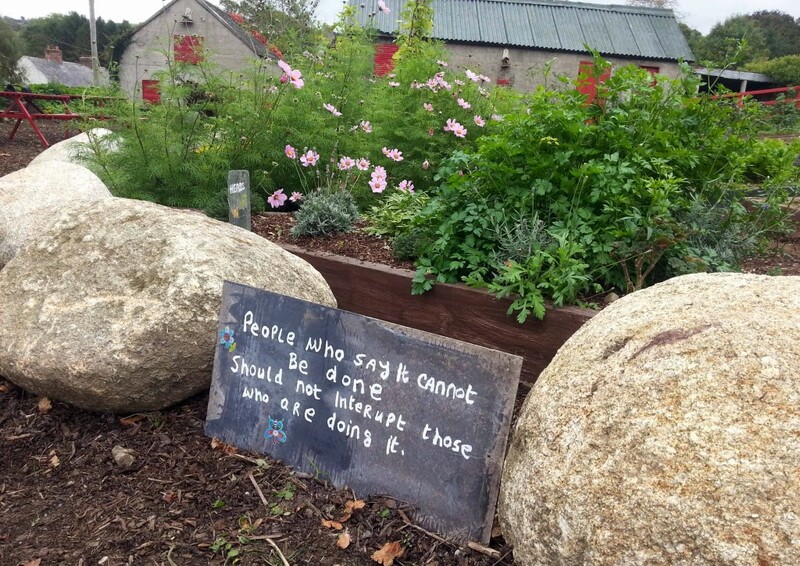 Almost everything used to create the garden was donated – from soil and beds to compost and netting and the Clonegal gardeners reused and recycled wherever they could. Shutters were made from upcycled pallets to cover the bare windows in the adjacent barns, old ploughs and milk churns have been filled with flowers and almost everything wooden was painted a vibrant red to give the garden a lift and continuity throughout. The insects are being looked after too. You can’t get a more natural bug hotel than an old tree stump. 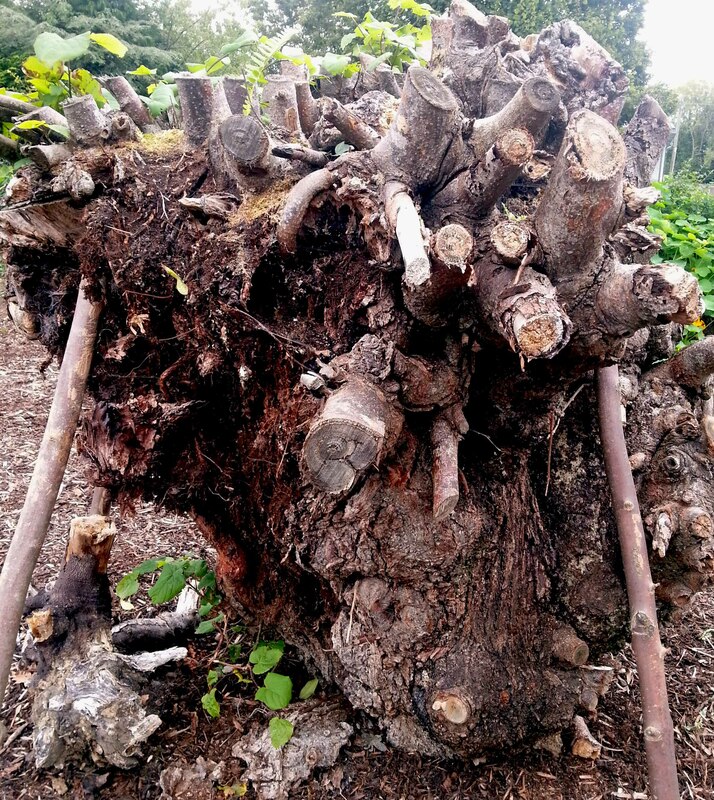 This particular one was the remains of a tree that had been growing in the village for many years and had to be removed due to a tragic accident. It now acts as a local memorial in the quiet garden. All the tree sculptures once grew as majestic trees in nearby Altamont Gardens. They had to be pruned and are now giving the bee and butterfly attracting borders some height and interest. The compost area as well as some of the seating and fencing have been made from upcycled pallets too. I especially like the tree stump tables and chairs dotted around for the children and that seating in general was a feature throughout this garden – it’s as important to take a few minutes out and enjoy your hard labour as it is to do it! Our first morning covered several topics but included a discussion about what exactly organic means, why organic gardeners don’t like genetically modified organisms and the recent outcome of the EU Legislation about seed security. Although many of the gardeners had heard about GM foods given that a crop of genetically modified potatoes has been growing in the centre of Carlow, none had heard that an attempt was made earlier this year in the European Parliament to make it illegal to save our own seeds and were astounded to hear it. Our conversations weren’t just about the more controversial aspects of growing food. We also began to explore the ideal growing conditions for vegetables, weeding without chemicals, companion planting, edible flowers and crop protection. 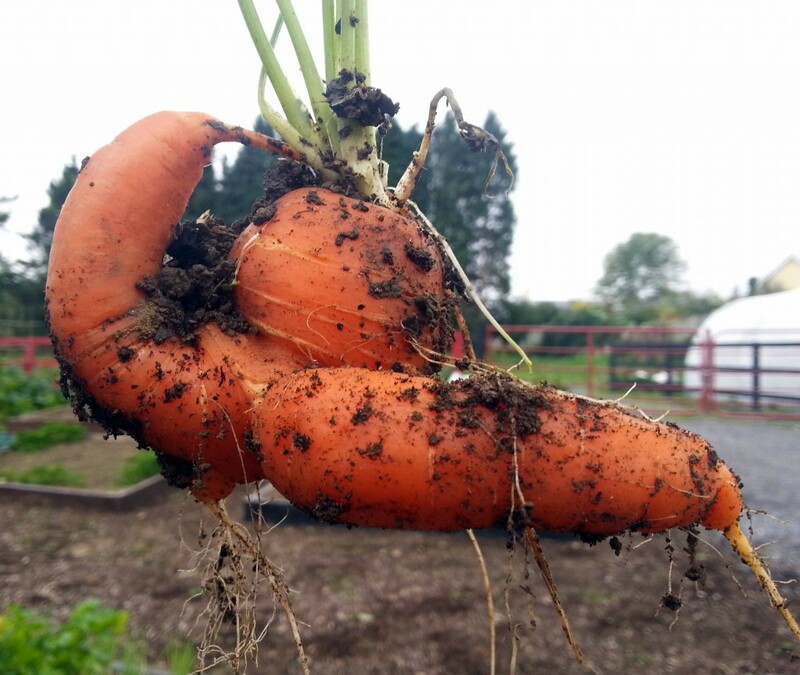 This carrot is a perfect example of a root vegetable that wasn’t enjoying the deliciously rich soil that had been provided for it or that it had been transplanted as a seedling from a pot into the soil. Root veg will often grow into all sorts of shapes and directions given those conditions. They much prefer to grow directly from seed where they’re to grow in soil that hasn’t had fertiliser added to it. The oddly shaped carrot did however, bring smiles to our faces and will be cooked and eaten, unlike misshapen commercial carrots that will be ploughed back into the land or composted. Fifteen gardeners from beginners to very experienced joined us this beautiful autumn morning for the first grow your own session in the community garden when it became a living classroom for adults. If you’re close by and you’d like to come along to the remaining five workshops in Clonegal (which thanks to Carlow VEC funding are running free of charge) contact me here for details. 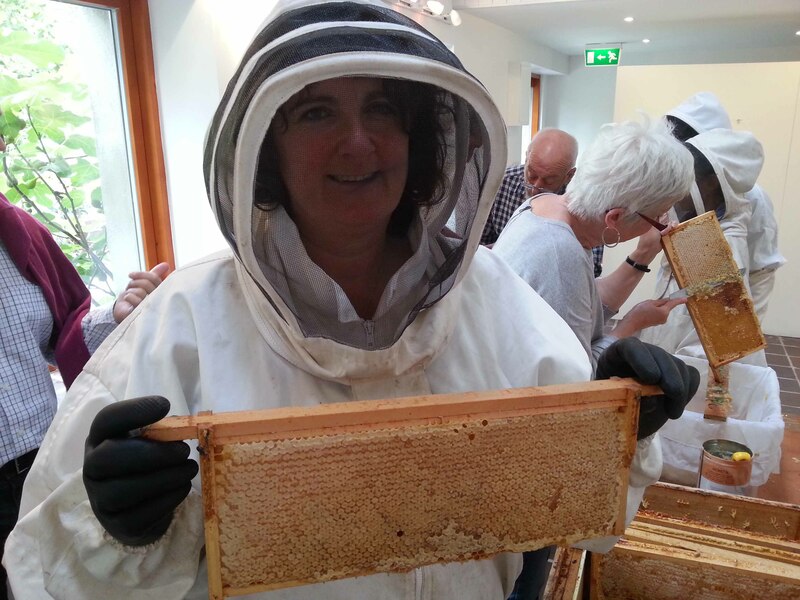 great blog and photos as always Dee… what a wonderful place, I can’t believe they did all that in such a short space of time. I love all their upcycling and the quirky little message boards too! Thank you! Yes, there were lots of little signs. I’ll take more photos over the weeks and add them to the photo montage as there were lots of quirky bits and bobs that made the garden interesting. World Mental Health Day – What works for you?